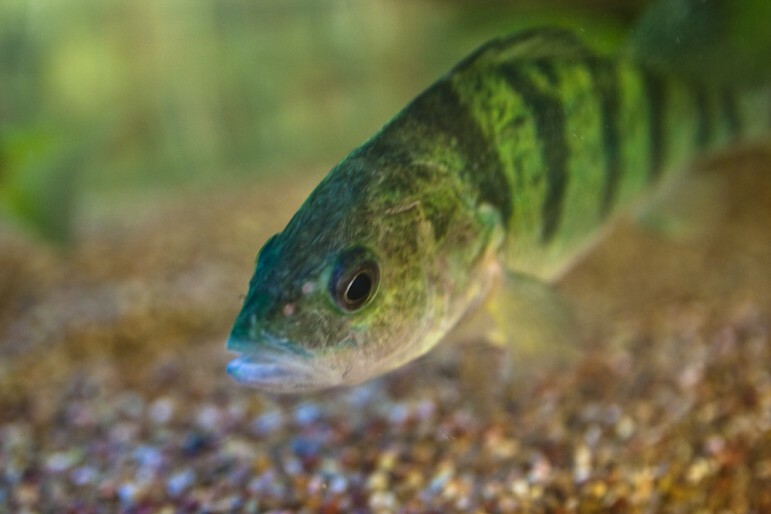 Great Lakes fish are at risk for exposure to flame retardants. Image: Steven Depolo, Flickr. A flame retardant has been discovered in sediment of the Great Lakes for the first time, and researchers say it may be here to stay. Researchers sampled sediment from lakes Michigan, Ontario and Superior to track organophosphate esters, a group of chemicals that are used as flame retardants. All three locations showed that the concentration of one of them–TCPP–has increased rapidly since 2000. It has replaced a more toxic flame retardant that was phased out. TCPP does not degrade easily in the environment, said An Li, a professor in the Department of Environmental and Occupational Health Sciences at the University of Illinois in Chicago. It contains chlorine which prevents it from degrading to simpler molecules. Li collaborated with several other scientists to study the organophosphate contamination in the Great Lakes in a recently published study in Environmental Science & Technology. The TCPP that is not broken down in the sediment may be released into the lake water over time, she said. And that’s bad for fish that are exposed to it. “If they are buried deep into the sediment, fish cannot get access to them, that is great,” Li said. Other researchers have also found evidence of organophosphate flame retardants in herring gull eggshells. These Canadian scientists said the chemicals may be accumulating from mother gulls eating fish contaminated with organophosphates then passing it to their offspring. However, they said more research is required to see if that is true. The Michigan Department of Environmental Quality does not monitor organophosphates in the water but is just beginning to look into their toxicity said Dennis Bush, unit supervisor of the department’s Water Toxics Unit. Flame retardants are a class of chemicals that are added to plastics and fabrics to prevent fires from starting. They can be found in a range of products such as televisions, furniture, paints and even babies’ toys. Flame retardants enter the environment through wastewater discharge or air pollution. They are then transferred to the water and eventually sink to the sediment at the bottom of the lakes. “We don’t know what to do because it is built into consumer goods and we are just trying to catch what they use,” Li said. The authors of this study emphasized the need to establish a baseline for organophosphate concentration. The International Joint Commission, which provides policy recommendations for the United States and Canada, released a report last November suggesting policies to reduce flame retardant contamination in the Great Lakes. The binational agency hopes for managing these flame retardants becomes a model for addressing chemicals of mutual concern, said Frank Bevacqua, the agency’s public information officer. The commission recommends restricting manufacturing of fire retardants, reducing spills and monitoring levels in the environment. It also suggests finding less toxic substitutions or eliminating flame retardants. “It is important to make sure we are not making similar mistakes as we replace chemicals that have been persistent,” Bevacqua said. Public and environmental health advocates recommend industries avoid replacements that are persistent chemicals. “One simple guideline is to stay away from the halogenated flame retardants,” said Gillian Miller, staff scientist at the Ecology Center, a nonprofit organization in Ann Arbor. Halogenated flame retardants have chemical structures containing chlorine or bromine. There are still some gaps in knowledge about the effects of organophosphate flame retardants, Miller said. No institution is comparing toxicity for the wide range of organophosphate flame retardants. Flame retardants are necessary for some products that are inherently flammable, such as building insulation, Miller said. Other products, such as furniture, may be able to use alternatives like wool or cotton that do not require flame retardants. The Ecology Center encourages manufacturers to assess the chemicals they use. “Otherwise we are going to keep seeing everything they put in products in the environment and in humans,” Miller said.